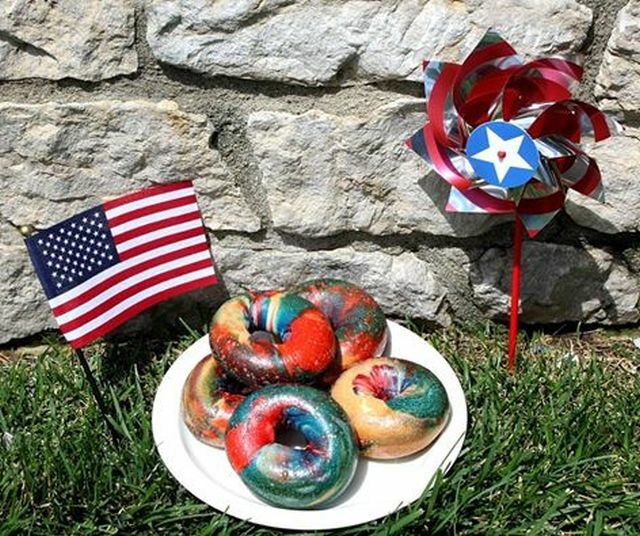 For those looking to add a bit of patriotic color to their morning bagels, Bruegger's Bagels is offering Red, White & Blue Bagels at participating locations through July 4, 2016. The seasonal items features their classic plain bagels swirled with red and blue food coloring before the standard boiling and baking (they look a bit like Play-Doh to me though and are more like red, blue, and beige). 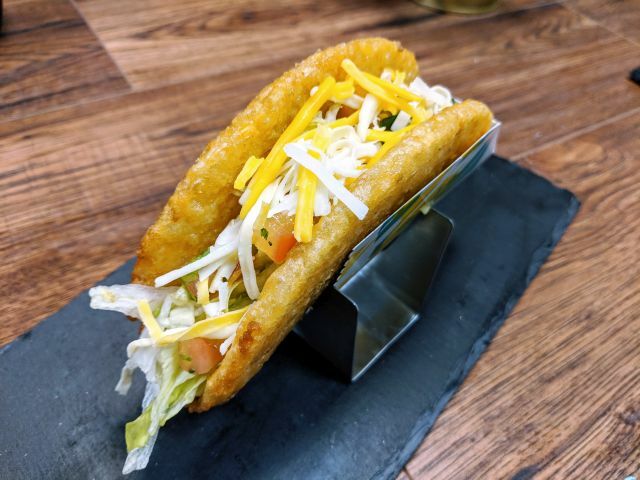 If you're looking to get a lot for a party or the like, you'll probably want to call and order ahead.